​Our vehicle graphics deliver! They can be seen on roads across the States ~ delivering product and brand message to all. 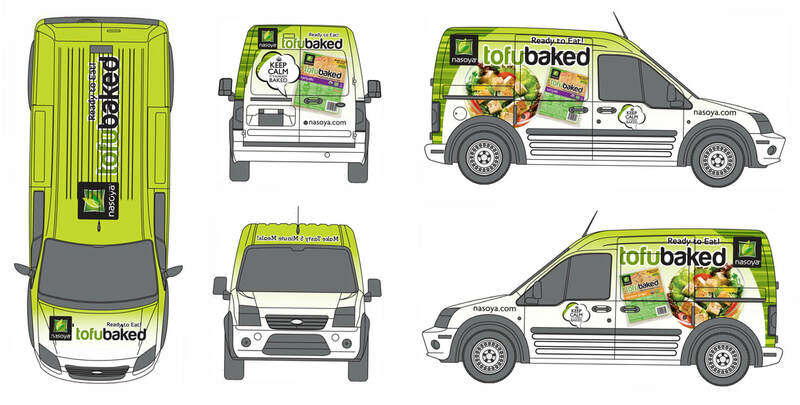 developed as part of a touring sampling kit, these vehicles delivered a branded message from every angle. A fleet of branded trailers designed to encourage the public to discover and learn about Tofu. Dunkin' Brands | 3 times as delicious! Dunkin' brands ~ three times as delicious! 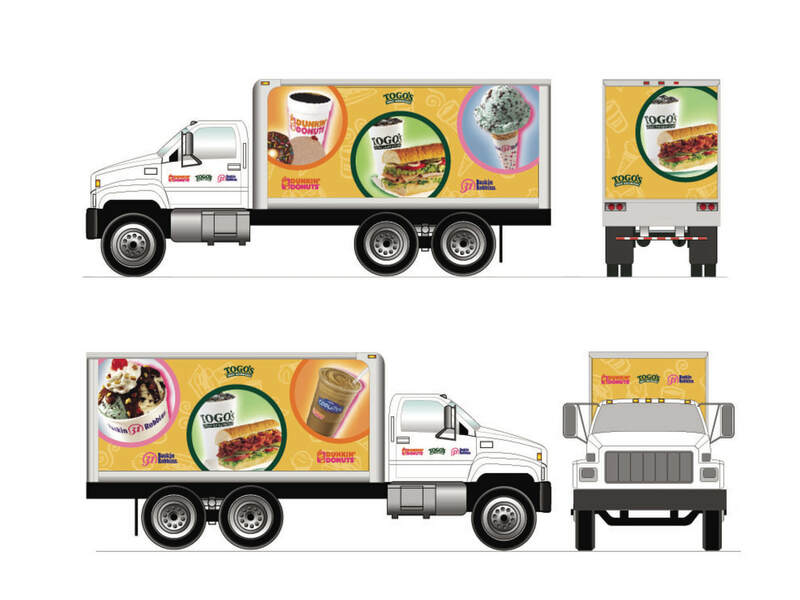 Tri-branded trucks for Dunkin' uniting Dunkin' with Baskin Robbins and Togos Sandwiches. These VW's were a big hit around town , hitting the roads shortly after the reintroduction of the beetle.